One of the reasons why Cardkiwi is so effective is because it utilizes a memory building technique known as spaced repetition. Numerous studies (Spitzer: 1939, Cepeda et al: 2008,) into human memory have shown that memory retention can be improved by spacing out your exposure to information, so that you review the information again at the optimal moment. Whilst pen and paper flashcards allow you to space out your exposure to new material, working out when would be the best time to look at the material again could be a waste of your time. Clever algorithms used by online flashcard systems mean that the flashcard app will know when to show you each flashcard for maximum effect. By allowing you to rate your understanding/memory of each specific card, the Cardkiwi app will start to show you the cards that you have a better understanding of less frequently, and the cards that you don’t understand yet, more frequently! For more information on spaced repetition, take a look HERE. 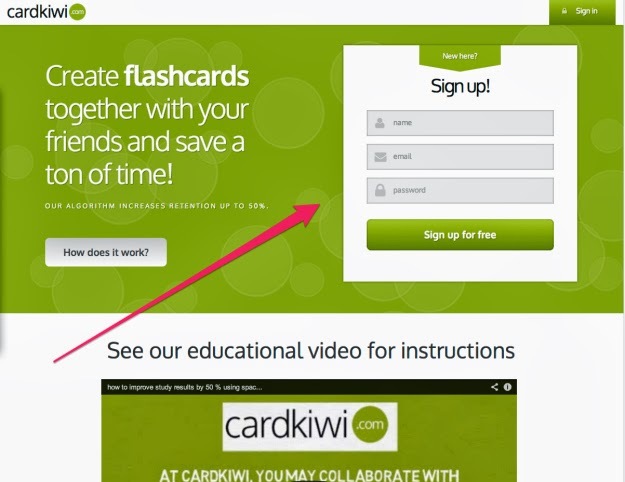 Cardkiwi also allows you the opportunity to share your flashcards with others so that you can build your knowledge with collaborative learning strategies. You can share your cards with anyone else in the world, without having to hand copy them out and send them over, and your friends can also share their flashcards with you. This can help you to develop a whole new perspective on the material that you are trying to learn. "I need flashcards for 10 chapters in my biology book. If I invite 9 friends to collaborate with me, I only have to do 10 % of the work. Amazing!" Cardkiwi will also keep your flashcards safe, in the right category and out of the way, so that they are not cluttering up your desk or bag. You can create hundreds of different sets of flashcards on Cardkiwi without having to worry about getting them mixed up or running out of drawer space to keep them all in. Best of all, you don’t have to worry about wasting paper, because all of your flashcards are displayed on a computer screen. Over the past couple of months, the staff at New Milford High School has been diligently creating our own unique learning environments for our students. Building on the success of our Bring Your Own Device (BYOD) initiative and with the addition of a new, innovative staff member two noteworthy advancements have been made since September 2013. That new staff member is Laura Fleming and she has done nothing less than blaze a trail since joining the NMHS team. She embraced the autonomy that she was given in a position that functions as a librarian, media specialist, and educational technology integrator to push the envelop. Lucky for her, NMHS already had many innovative teachers on staff and students yearning for changes in how and where they can learn since NMHS is an ancient building (i.e. 1928). She just launched an updated site for the Makerspace at NMHS that I highly suggest you visit. Not included on the site is the recent purchase and addition of an LED chessboard and cafe style seating. This has resulted in many spirited chess matches between students and NMHS teachers over the past couple of weeks. 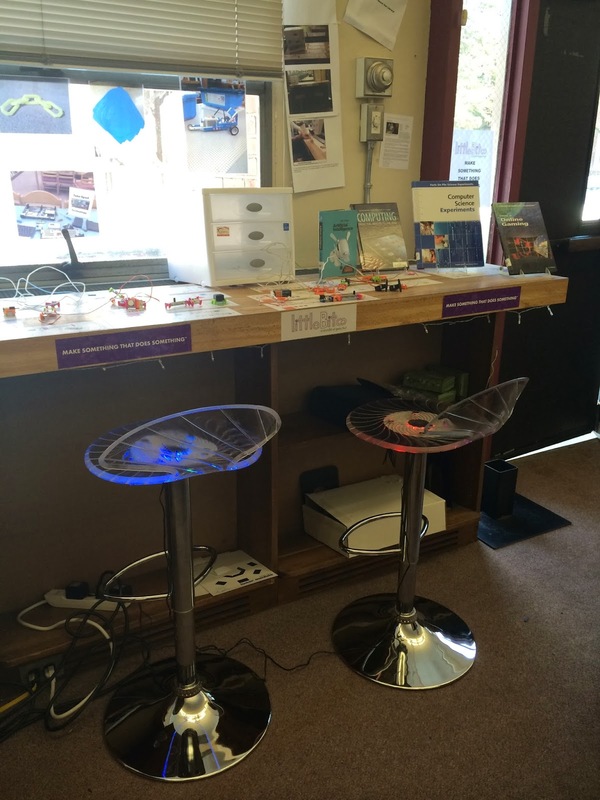 For more information on our Makerspace check out this post that I wrote earlier in the year. Laura is also working on bringing the campus of New Milford High School into the cloud. 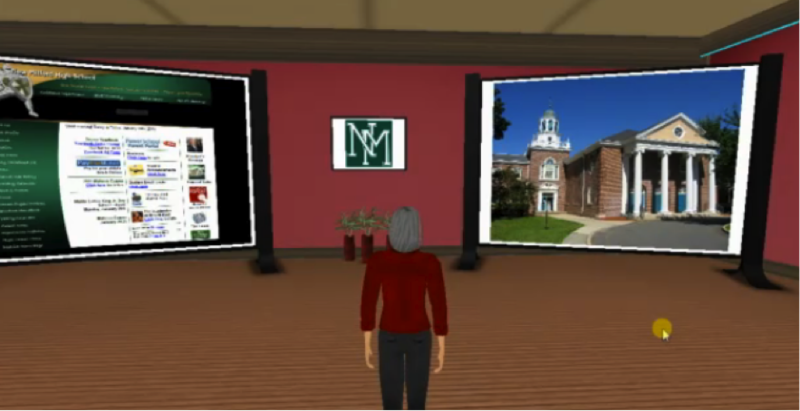 This 3-D virtual learning space will enable students to participate, create content, and to collaborate with others, physically and virtually, nearby or anywhere across the globe, through their chosen media. 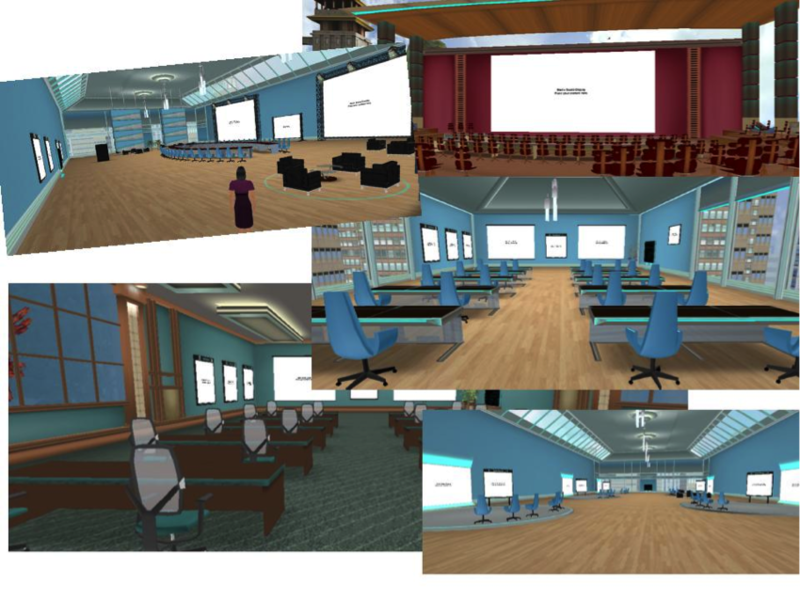 We will be exploring how we can use the virtual terrain for face-to-face collaboration, and how we can embed collaboration into the planning and the outcomes of instructional design and the learning process. Our virtual environment will be made possible by a solution called ProtoSphere, a 3-D collaboration environment created by a company called ProtonMedia that connects people from all around the globe, at any moment in time, from virtually any device. Mrs. Fleming will be collaborating with Ms. Jennifer Lyons, Ms. Vicki Smith, Ms. Lisette Morel, and Ms. Rebecca Luzuriga along with some of their students. 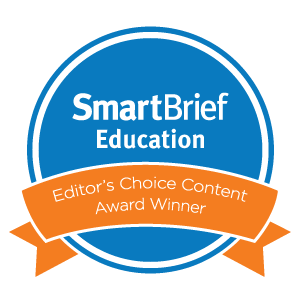 This project was recently featured on Getting Smart. I'd say we are well on our way to creating learning environments that our students need, deserve, and value. Stay tuned as we continue our transformation! Mrs. Westbrook and Mrs. Morel continue their collaboration to address the Common Core literacy standards within our fine arts program, with the goal of increasing the rigor of the writing assignments across the curriculum. Building on the success of their past work with students writing artist statement's for exhibition of their work, this semester Explorations in Art students will create photo essays to demonstrate their knowledge of the progression among styles and techniques from ancient to modern art. Students will analyze pieces from the online gallery provided by the Metropolitan Museum of Art and compare the works in terms of perspective, realism, subject matter, imagery, scale, and the use of space. "Essentially, the 21st century leader has to develop a renewed understanding of how children are learning now. It isn't about using technology because it exists. It is about how the technologies of the world have already influenced how children are learning. Bringing a technology agenda forward with the intention of improving student understanding and demonstrated success is essential. Leading the transition from 20th century to 21st century schools includes attention to the human toll it takes when such large changes are being required. 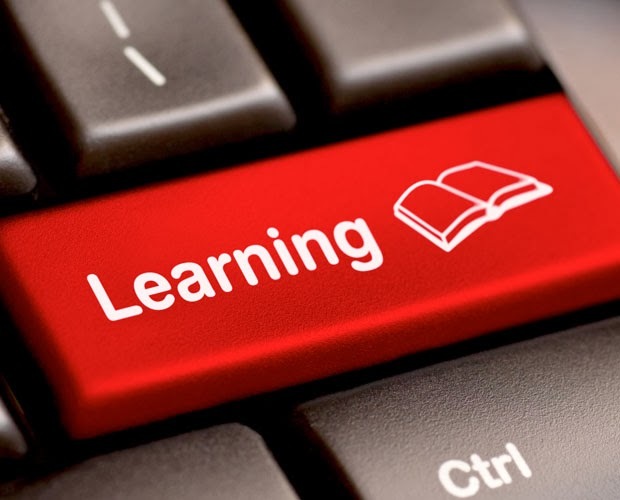 Ongoing professional development, constant review and analysis of successful attempts at the changes in learning opportunities and the increasing use of technology offer momentum." The world has changed and technology has had a big impact. As the world and our lives have become more connected and influenced by the evolving technology-rich landscape our learners in turn have become wired differently. Not only are they engaged more outside of school then in, but in many cases they are constructing new knowledge, communicating, collaborating, and attempting to make sense of an array of media messages. All of these examples are at the core of essential skill sets that most schools "want" students to possess, but many schools do a poor job of creating a culture that integrates them across the curriculum. Students deserve leaders willing who are willing to extend themselves beyond their comfort zones in order to create a culture that aligns with a new vision for learning. This involves a leader's desire to take calculated risks, adapt, learn, and ultimately evolve in ways to break free of the status quo in order to create digitally rich environments that meet the needs of today's digital learners. The number one responsibility and challenge for digital leaders is to create a relevant, meaningful, and authentic learning culture that allows students to create learning artifacts to demonstrate conceptual mastery. 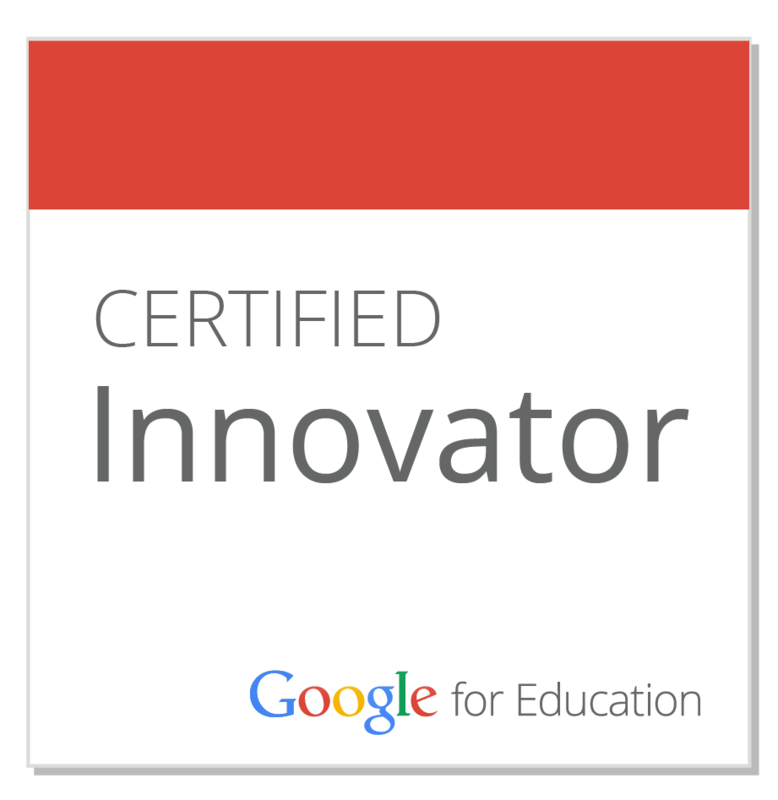 It also requires an open mind, vision, and strategic plan to allow students access to real-world tools to do real-world work. A common misconception is that you have to be "tech savvy" in order to be a digital leader. Of course it helps, but it is not a necessity. What is needed is a thorough understanding of what constitutes effective leadership and determining how these characteristics, skills, and practices can be improved and/or enhanced with a new mindset that views technology as a tool to support learning as opposed to just a frivolous add on. Some of the most effective digital leaders, or just leaders for that matter, build capacity in others to move the change process further. If you are a leader looking to do so, begin to have conversations with your teachers, and more importantly your students, to collaboratively create a system that works for learners as opposed to one that just acts to control them. Societal changes as a result of technology now demand leaders to also look at how they perform other essential responsibilities to improve and move schools forward in the digital age. The Pillars of Digital Leadership provide a practical framework for any leader, regardless of technological proficiency, to improve professional practice. The tenets of leadership still apply. It should also be noted that this isn't about giving us more to do in a time when it seems like more and more is being dumped on a leader's plate. The guiding question is how can we do what we do better to become more effective and efficient while becoming improved learners, collaborators, communicators, storytellers, and change agents. If we look at the digital age as an endless era of opportunity to engage students in deeper, more relevant learning then the next logical step is to act. We can no longer stand by idly while everything changes except for schools and learning environments. View this post as a call to action. If you are a digital leader how will you help support, cultivate, and inspire others to follow a similar path? The Age of Information and Personal Learning Networks (PLN's) provides ample resources for any leader (classroom, building, district) to find success, not to mention my new book on Digital Leadership. The challenge is to get those who do not value the role of technology in learning today, are not connected, or who are blinded by fear, misconceptions, or lack of knowledge on board. Learners across the globe are counting on our success in this endeavor. Are you up for the challenge? The following is a sponsored post by DegreeStory.com. What degree should I get? Do I follow my passion and become a fine art major at the risk of financial stability? Do I pursue software engineering to land that great job out of college? In recent years, these questions have become more complex. 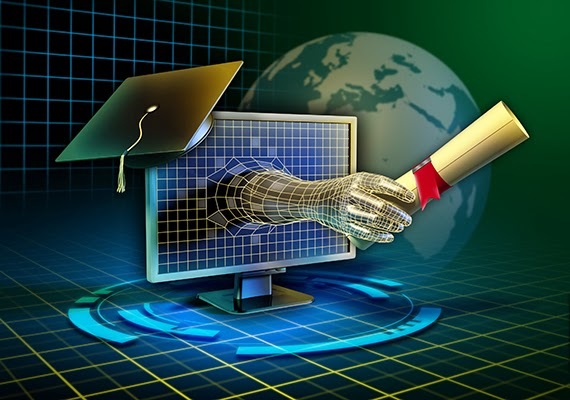 Should I get an online degree or should I attend a brick and mortar school? Is a bachelor’s degree even valuable anymore or should I pursue a master’s? Are entry-level jobs available in our struggling economy? Do I even need to go to college? How much debt should I take on? Finally, throw into the mix some personal questions. What am I best at? What can I see myself doing for the rest of my life? Do I need to move in order to pursue my career? Do I value financial rewards or work-life-balance? What if I want to start a family? Do I work to live or live to work? These are tough questions for anybody at any age. Yet, these are the questions that we expect our college students to answer. They are bright and motivated but are not properly equipped to make a wise decision. Ultimately, what they lack is experience. It’s almost impossible to draw on a part-time babysitting job to gain the requisite clarity to choose a professional career path. There is a world of difference between a restaurant hostess and an ‘8-5’ as a financial analyst for a REIT. According to this article by the New York Times, students understand their dilemma and thus are postponing the decision. Unfortunately, this indecision can increase the already rising cost of higher education, further compounding the problem. It’s a complex situation that has yet to be addressed in a meaningful way. This is why we built DegreeStory.com. Our mission is to connect these young adults with the experience of those who have gone before. Those with the most to contribute are not the professional journalists and writers but the people who are actually in the careers. Why have a journalist give a 3rd party analysis of software engineering when you could have a programmer just speak from experience? DegreeStory.com gives a platform for professionals to write about their experiences. It is open format and we welcome any and all thoughts regarding careers and degrees. These students need to hear reality. They need to understand the ups and downs that are present in every profession. While a single story is indeed helpful, the true power of degreestory.com is found when all of the stories are taken together. As a college student, imagine being able to browse through thousands of stories from real people who are actively working in the field that you might choose. We categorize these stories and make them easy to find. Thus, a young aspiring clinical psychologist has the ability to call up stories by other clinical psychologists. Furthermore, he has the power to filter by salary, experience, school and more to find stories that perfectly match his search criteria. This is the missing piece for these young people who are thrust into these decisions. As somebody who is in education, your story is valuable. Thousands of potential teachers need to understand what it’s really like. Would you share your story? It’s simple. If you want to share your general experience, you can start writing here. 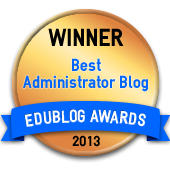 If you want to enter one of our writing contests for teachers, you can click here. The now annual Digital Learning Day was set for Wednesday February 5, 2014. The only problem was that no one told the weather gods this. As a result, the Northeast was once again hit with a huge winter storm, which came on the heels of one earlier in the week that dumped over 8 inches of snow. This monstrosity brought more sleet and ice, which necessitated yet another day off from school. Many of my teachers had specific activities planned for Digital Learning Day. Most schools and educators that suffered the same fate as us were probably demoralized by the fact that all of their planning was for naught. This certainly was not the case for us at NMHS. Why might you ask? The answer is simple. For the past couple of years every day is treated as Digital Learning Day as we have moved to create a teaching and learning culture rich in authentic activities where students are engaged and take ownership of their learning. Below is a rundown of activities that were planned. I have changed everything to the past tense, as there is no doubt in my mind that my teachers will follow through with these activities. It is just what we do at NMHS. All students in Mrs. Chellani's Calculus, Pre-Calculus, and Algebra I courses viewed videos, utilized interactive apps on their cell phones, and employed the Socrative app on their cell phones to learn the content, understand its real-world applications, and foster and engage in class discussion. Ms. Chowdhury's students had been learning science mostly through taking notes and memorizing formulas while she was on maternity leave. In order for her students to start learning through the inquiry method starting from the middle of the school year, she needed to re-teach some concepts more effectively. She found a game website developed by a Rutgers University physics education program graduate called The Universe and More. This website has amazing games that summarize most of the kinematics unit. Students often are not willing to learn the same concept twice thinking that they already know it. These games on the website are fun and challenging, and the students really have to understand kinematics in order to improve levels. Every next level is locked until they can pass the previous level. Some students may be inclined to guess to complete a level, but after a couple levels of guessing they will find a pattern to the guessing, which is really the goal of the game. This will help set the background knowledge for students to learn the next concepts of momentum, energy, electrostatics, etc. The Lance held (or will hold) the first ever live twitter chat party. Jelani Rogers wrote an article about the unique ways that students are inviting dates to prom ("promposals"). She posted a request using a specific twitter hashtag asking all NMHS students to tweet us their promposal pics along with a 140 character story of how it all went down. Responses are going to be incorporated into her article next week as a slideshow. Mrs. Fleming collaborated with numerous NMHS teachers. Dr. Asa-Awuku and the engineering class worked on creating innovative inventions using the Makey-Makey kits we have in our Makerspace. Mrs. Beiner and her students went to the media center to work on molecular gastronomy. They learned how to follow a digital recipe and then later in the week will be making their own digital recipes. Mr. Groff and his students used Mozilla Thimble and HTML and CSS coding to create vintage historical newspapers. Mrs. Collentine's class used TwitterMagnets to create original, creative sonnets. In Mrs. Vicari's Computer Apps and Business Strategy classes she showed students how to create a website using WIX.com. Numerous students always have the opportunity to work on IOCS projects and their virtual courses. 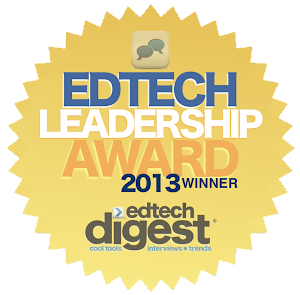 So what did you do on Digital Learning Day 2014? More importantly, how have you embedded digital learning consistently into your school culture so that every day students are engaged in authentic tasks and are empowered to take ownership of their learning? For over a century, the industrial model of education did a fantastic job of preparing students for careers. Those careers are no longer relevant in today's rapidly changing world. With obvious remnants of this system still in place, new changes are being pushed through under the guise of education reform. Instead of preparing students for an industrialized world the education system is now being tasked with preparing all learners to be college and career ready in order to compete globally with their peers. The education system is still not changing at all and is totally based on control and compliance. The failed legacy of NCLB should provide a stark reminder that pummeling students with standardized tests will not achieve the desired outcome. So again our education system is in a pickle consisting of an outdated model and the pressure to prepare students for an absurd amount of testing days throughout the school year. The world does not rest on standardized tests. Success now lies in one's ability to create solutions to problems, collaborate with peers to meet a goal, communicate effectively, and develop unique ideas that can change things for the better. Unfortunately the powers that be are ultimately stripping the autonomy away from educators and schools, something that has defined our country for decades. Even with an outdated model, we have still found ways to provide innovative pathways to unleash a passion for learning among our students. Control, as bad as it is in our system, has been a challenge that some have chosen to overcome. In the face of adversity, educators have strived to overcome it to benefit our most precious resource - students. However, the current rhetoric and testing blitz that is upon us seeks to not only undermine what makes education special, but to control us to a point that will break the morale of many if it hasn't already. This control will be the demise of our education system. Up to this point I have ranted about control at the federal and state level and the dramatic impact it has, and will continue to have, on education if we don't change course. 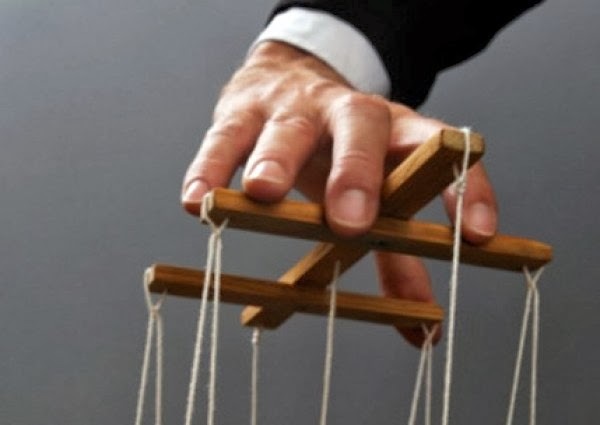 There is another type of control that we need to acknowledge that is prevalent in virtually every school in the world. This is the control fostered by administration and teachers as to how learning should, and will, be structured. This hits home for me on many fronts, as I was guilty of this years ago. We are often our own worst enemies as we work hard to control what students can do in school or classrooms. This stems from the fact that we don't want to give up control. Compliancy has worked for so long, and quite frankly we don't trust students or even our own teachers. What we don't know and understand we fear. So we react by trying to control every facet of school structure, function, and learning. This was me for many years, but thankfully I changed and I think my school bas benefited. The motivation from this post came from a recent presentation I did on digital learning. The whole premise behind this concept it to provide relevancy, meaning, and authenticity in the teaching and learning process. It hinges upon our ability to provide an environment and activities that unleash our students' passion for learning and allows them to create artifacts of learning with the tools of their choice to demonstrate conceptual mastery. Additionally, it relies on a bold vision to grant students and educators the autonomy to take risks, learn from failure, and then adapt as needed. 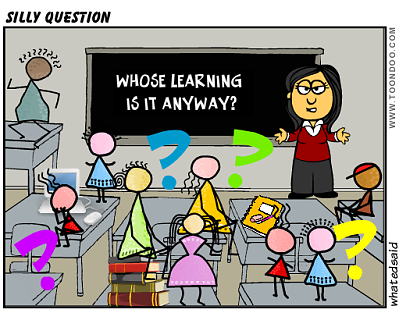 This is where we have seen a significant shift from a control to ownership of learning. Students are now able to demonstrate learning transparently for an authentic audience, allowing them to have a choice as to the device and/or tool to demonstrate and apply what they have learned. Teachers are being empowered and embracing digital learning methodologies to improve professional practice. Meaningful change will only happen if we begin to give up control and establish a culture built on trust and respect. In the end students have taken ownership of their learning. As we continue to see the positive impacts of the changes we have willingly made, I wonder if those who are not in schools will take a second and truly reflect upon what their reform decisions are doing to schools, educators, and kids. I also hope that those who block social media, ban students’ devices, and mandate Common Core scripts understand that these decisions are destroying a love for learning. Digital learning in its many forms could be one such catalyst to put education on a better path. If we truly want to prepare the next generation of thinkers, doers, inventors, and change agents we must give up control, trust students and educators, and work to develop a better system that will produce desired outcomes.